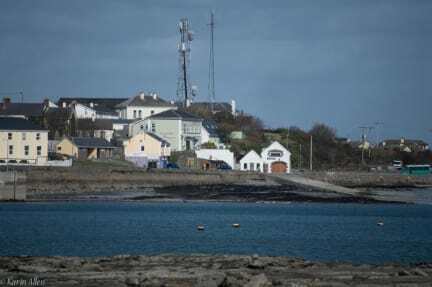 Located directly beside the pier on Inis Mór, Kilronan Hostel is the perfect place to stay to enjoy the magic of the Aran Islands. With stunning views of Kilronan Harbour and the Atlantic Ocean, our hostel is a stress-free zone where you can really feel at home! At Kilronan Hostel, comfort and cleanliness are our priorities. We have small dorms, all en-suite, meaning you can stay in comfort at a very reasonable price. We have a spacious and well-equipped kitchen which is open all day for your use, as well as a cosy TV room and a fantastic outdoor seating and BBQ area. Less than 1 minute walk to the supermarket and ATM and just metres away from all the best local pubs and restaurants, we have free Wi-Fi throughout the hostel and all rates include breakfast, towels and free tea/coffee all day long. We also offer free printing, free maps and free luggage storage. 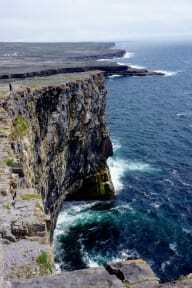 So, why not visit Inis Mór to experience the magical charm of Ireland as it used to be! At the hostel we are very environmentally aware. We recycle almost everything and we have separate recycling bins for glass, cans, cardboard and plastic as well as organic food. We would encourage everybody to please use this facility correctly. We also use Airtricity electricity company which uses over 90% renewable energy. At the hostel we only use environmentally friendly light bulbs throughout the building. We had a fantastic time. Thanks! Es war wundervoll, wir wurden von super freundlichen Mitarbeitern sogar zum selbst-gekochten Abendessen eingeladen. Yummie... thank you! The staff was really really friendly, I enjoyed my time with them. They also have a lovely livingroom to pass time in, when the weather outside isn't good. The room was tiny, but nice furnished. Only the shower was a bit an adventure to manage. I would absolutely recommend to stay at Kilronan Hostel! the staff is perfect - super friendly and they can answer all questions! The rooms such as the shared ones were clean and tidy. You`ve got a wonderful view over the pier. Pibs and Spar are within walkinh distance and you can easily hire a bike to explore the island. Thank you for that chilling weekend! You can use the in-house kayak on a sunny day to explore the island. It's really great! It was the best hostel where I was until now!! Very good breakfast - enough to eat also for hungry ones! Very nice hostel, totally recommended! Perfekt location, nice pub underneath. Big kitchen and common area. Breaktfast was great with a lot to chose from and fresh fruits! The perfect place to stay for one or two nights. It is just a 5 minute walk from the ferry, the supermarket and bike hire shops. You will have some extra activities like cayaking or fishing offered and can also explore the island by yourself, as you're at the perfect place to start from. Pubs are just around the corner or next door. Thanks for a good stay!